The inflammatory nasal polyp is the most common benign or malignant nasal mass seen in children. 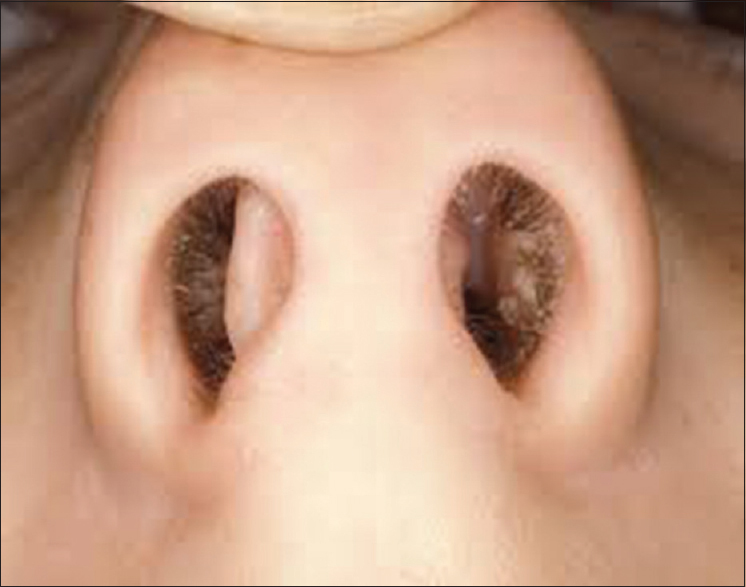 Nasal polyps in the pediatric population appear to occur as inflammatory responses to bacterial infections. Multiple polyps can occur in children with chronic sinusitis, allergic rhinitis, cystic fibrosis (CF), or allergic fungal sinusitis. An individual polyp could be an antral-choanal polyp, a benign massive polyp, or any benign or malignant tumor (e.g., encephaloceles, gliomas, hemangiomas, papillomas, juvenile nasopharyngeal angiofibromas, rhabdomyosarcoma, lymphoma, neuroblastoma, sarcoma, chordoma, nasopharyngeal carcinoma, inverting papilloma). Clinically, one must evaluate all children with benign multiple nasal polyposis for CF and asthma. In a study, it was noted that 33% of the patients with polyps had antral-choanal polyps, and in 20% of the patients, the polyps were unilateral. In 18% of the patients, the polyps were SS bilateral, and in additional 29%, they occurred bilaterally in association with CF. In this study, it was also noted that the history of an allergy was infrequently associated with nasal polyps. Allergies are potentially major contributing factors to nasal polyps only in patients without CF whose nasal polyps are bilateral. 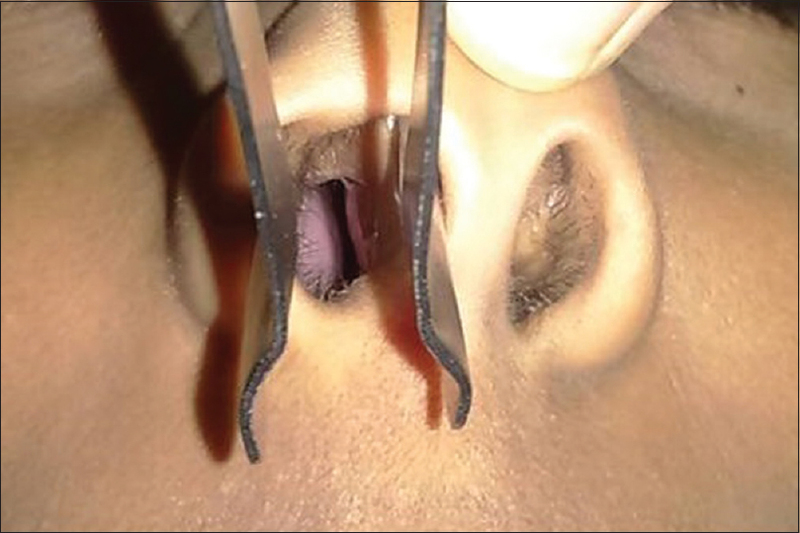 Currently, patients with antral-choanal polyps are mostly managed by simultaneous Caldwell-Luc antrostomy and polypectomy. They generally have the risk of recurrence. The surgeries are also associated with complications, including epistaxis and intranasal synechia, in about 3% of the cases. Therefore, a different approach is needed to tackle the disease condition in a safer and noninvasive way. A 14-year-old, 40 kg moderately built male child belonging to a lower middle class family, suffering from nasal polyp presented to Kaumarabhritya outpatient department for the complaints of difficulty in nasal breathing, mouth breathing, especially at night, stuffy nose, frequent sneezing, and headache. All since 2 years with gradual onset, increased since last 2 months. The patient was a k/c/o/bronchial asthma, for which he undertook the classical virechana (Snehapana f/b Swedana for 5 days and after which virechana was given with trivrit leha on 7th day) at the age of 6 years. The patient was diagnosed with right-sided nasal polyp and was admitted in indoor patient department for the same for 10 days, in which he was treated with Tulas yadi Taila Nasya and Shamanaushadhi based on yuktivyapashrayachikitsa, and discharged with follow-up advice which included oral medicines. During this period, child had shown decrement in the symptoms. Physical examination revealed the presence of right nostril polyp and hypertrophied posterior turbinate on the left side with inflamed mucosa bilaterally. (Computed tomography scan could not be done due to economic constraints; it would have helped know the origin of polyp). During the treatment, the patient was advised to remain in Nivatasthana, and to avoid cold, spicy, oily food, Divaswapna and Ratri Jagran, the patient was advised to take Lukewarm water, Shunthijala (water prepared by decoction of ginger), Ganji (gruel prepared with rice), Upma, Krushra, or Khichadi (prepared with green gram and rice) as Pathya Ahara and Vihaara. Follow-up was done after 1 month. After the 3rd day of treatment, the patient had shown improvement - no mouth breathing, sound sleep, and increased appetite [Table 2]. After the 4th day of treatment, there was reduction in the inflammation of nasal mucosa and gradually, reduction in the size of the polyp [Figure 1] and [Figure 2]. Since the disease Samprapti had Kapha and Jala Bahulyata, it was indicated to bring about the Apatarpana and Rukshana. Since the childhood age is very tender age in terms of easy fluctuation of doshas as it is avastha of Aparipakwadhaatu, Aarohanakramanasya drops were used. The treatment was intended to bring about the sthaanik doshas to normalcy, to repair the inflamed mucosa, and to drain the polyps. Shodhana form of nasya was also beneficial looking at the chronicity in this case. The clinical success was achieved by the adapted treatment due its specificity in healing the vitiated Doshas. Nasaarsha has been mentioned in Sushruta and Vagbhata in which they have clearly mentioned that patient feel difficulty in breathing, therefore patient breathes from mouth, fluid discharge from the nose, constant sneezing, nasal voice, bad smell in the nose, and headache are the common symptoms. The Shamanaushadis given at the time of discharge are used for the treatment of Nasa Arsha (mentioned in the classics) as it contains the drugs which are Katu and Teekshna in nature ultimately which cases Lekhana and Ksharana of Nasa Arsha. Tulsyadi tailam was chosen, because Tulsi is known for its shirovirechaniya action, and teekshnata. Ayurvedic management has been found very effective in this case if followed by proper yukti, also keeping pathya and apathya for the patient. Shodhanachikitsa with Nasya was found beneficial in the management of nasal polyp (Nasa Arsha) in the present case. Schramm VL Jr., Effron MZ. Available from: http://www.ncbi.nlm.nih.gov/pubmed/7401851. [Last accessed on 2016 Oct 04]. McClay JE, Isaacson GC, editor. Available from: http://www.emedicine.medscape.com/article/994274-overview. [Last accessed on 2016 Oct 04]. Nishteswar K, Vidyanath R, editor. Taila prakarana Sahasrayogam. Ch. 3., Second ed. Varanasi: Chaukhamba Sanskrit Series; 2008. p. 129. Mishra S, editor. Arsharogaadhikara. Bhaisjyaratnavali of Kaviraj Govinda Das Sen. Ch. 9. Varanasi: Chaukhamba Subharti Prakashan; 2011. p. 330. 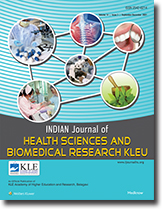 Mishra S, editor. Udardasheetapittakothaadhikara. Bhaisjyaratnavali of Kaviraj Govinda Das Sen. Ch. 55. Varanasi: Chaukhamba Subharti Prakashan; 2011. p. 898. Shastri KA, editor. Nasagataroga Vijnaniya Adhyaya. Shushrutasamhita of Maharishi Susruta edited with Ayurveda Tattva Sandipika, Uttaratantra. Vol. 2, Ch. 22. Varanasi: Chaukhamba Sanskrit Sansthana; Reprint 2014. p. 144. Srikantha Murthy KR, editor. Nasarogapratishedha Adhyaya. Ashtanga Samgraha of Vagabhata. Uttarsthana. 4th ed., Vol. 3, Ch. 24. Varanasi: Chaukhambha Orientalia; 2005. p. 212. Sharma PV, editor. Krimighana Adhyaya. Dravyaguna Vijnana. Vol. 2. Varanasi: Chaukhambha Bharti Academy; Reprint 2005. p. 513, 709.